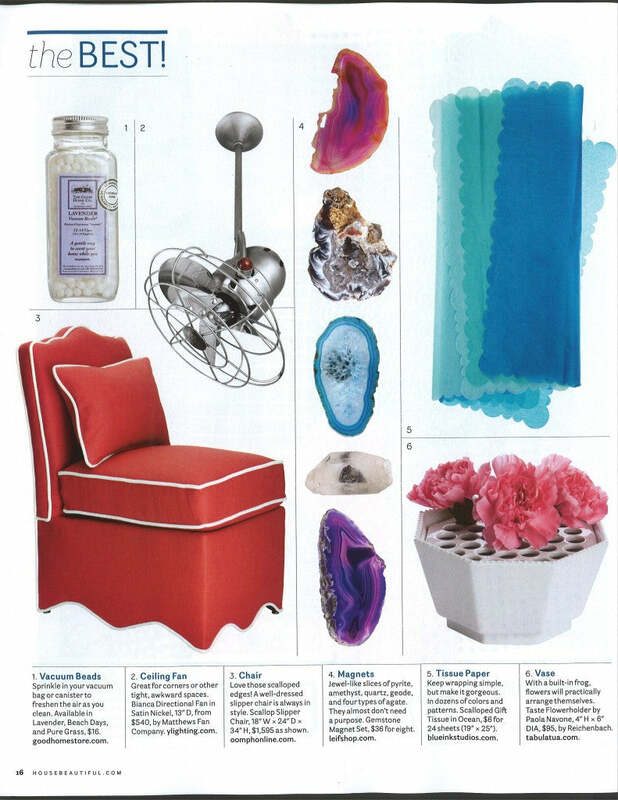 The June issue of House Beautiful features our fabulous scallop chair in custom pink linen. They placed it on a page with the title "THE BEST!". The best, indeed! 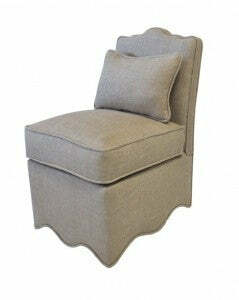 This chair is fairly new to our line and has rapidly become our most popular perch and a new oomph classic. It's adorable in a bright color but equally as fetching in a neutral linen with or without contrast piping. It's a wonderful chair to use in pairs or as a single accent piece in any room in your house. We offer it in any of our 4 linen colors with or without the contrast oyster piping. Of course - like all things oomph - we can customize it in your favorite fabric. Picture it in a greige ticking stripe with a hot pink contrast welt. (Sounds irresistible - we may have to try that!) Send us 4.5 yards of your latest favorite fabric and we'll make the scallop chair just for you. The possibilities are limited only by your imagination so don't hold back - have fun with it! House Beautiful did!